After photographing The New Orleans Burlesque Festival last year and having such a good time, I decided I wanted to check out other festivals across the country (and hopefully a few internationally someday). 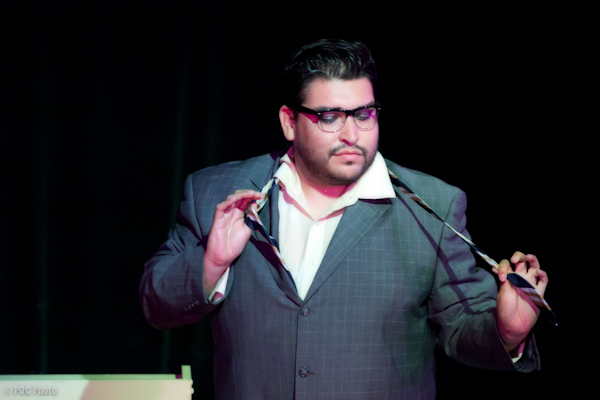 First up after New Orleans was The 4th Annual Texas Burlesque Festival in Austin. The festival had many performers from throughout Texas of course, as well as Chicago, Atlanta, California, the Pacific Northwest and more. The festival was divided into three nights with the first devoted to burlesque newbies, hosted by Big Mama Red. The second night was legends with Tiffany Carter and Shannon Doah hosted by Dr. Annie Sprinkle; the final evening was the competition hosted by the funny and vibrant Cora Vette. Production coordinator for the festival is Coco Lectric, crowned Queen of Burlesque at last year’s New Orleans Burlesque Festival and co-founder of The Jigglewatts Burlesque in Austin. Coco wanted to help with the festival any way she could, and Lynn was happy to have such a vibrant and knowledgeable performer as part of the proceedings. As well as performing in Austin and across the country, Coco is headmistress at The Austin Academy of Burlesque and will compete for the crown of Miss Exotic World at this year’s Burlesque Hall of Fame weekend. “Burlesque for life,” Coco tells me. How did it come to that? She trained in ballet but found her passion in belly dance and Afro-Caribbean dance. About five years ago Coco and Jigglewatts co-founder Ruby Joule produced a “cheeky” little musical for a friend’s birthday. With a great response to the show and bursting with ideas to do more like it, a burlesque starlet was born. And a very busy one, at that. Another treat while in Texas was seeing Sassy Delure, who left Seattle last year for Austin and settled quickly into the burlesque scene there. Initially she wasn’t quite sure how that would happen. “I had no idea there was a scene down here and when I got here I figured I would take a couple months off and figure out what was going on,” Sassy told me. Within a few weeks of arriving, local designer Coco Coquette produced a fashion show called Cherchez la Femme! Two days before the show one of the cast was unable to perform her complicated dance routine due to illness, and Sassy filled in beautifully. She won over the crowd and the burlesque community and has become a fixture on the scene ever since. For those Seattleites who long for Sassy, don’t fret. She will return at the end of next month to perform in L’Edition Francaise! 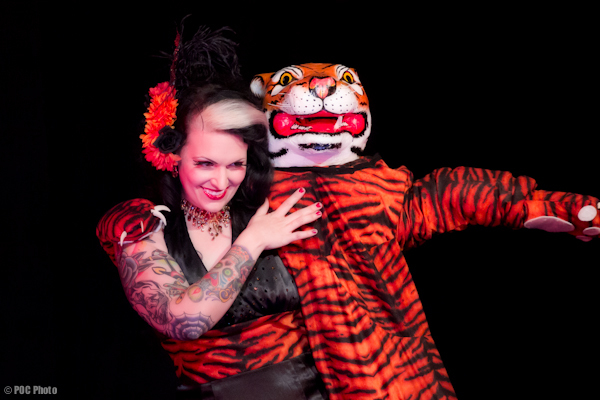 by Lily Verlaine, Kitten LaRue and Olivier Wevers (May 26-28 at The Triple Door). Seattle starlets Minetta Lane and Roxie Moxie of Stripped Screw made their way to the festival and performed as a duo with their fiery Faustian act. I also caught up with one of the Rose City Shimmy gals from Portland, Baby Le’Strange, whose hot dog number electrified the crowd. One of my favorite acts of the weekend was Lula Hoop Guru and her tribute to Hitchcock’s “The Birds”, which won the Best Novelty/Vaudeville prize. I’ve seen burlesque hula hooping before but Lula was quite ingenious in her interpretation of the classic ’60’s movie. I was also glad to see some boylesque at TBF with newcomers Foxxy Blue Orchid and Stephan wooing the crowd nicely. It seems that boylesque is becoming more prominent at festivals across the country. 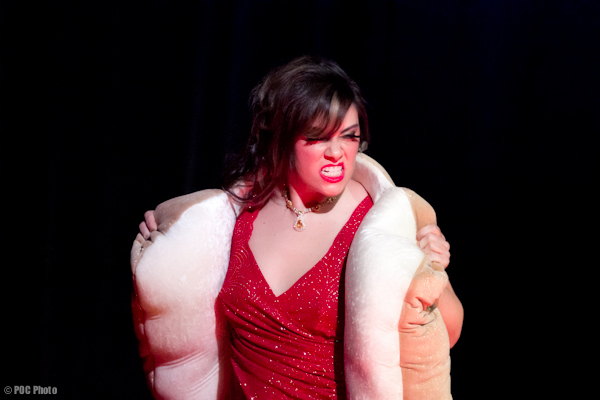 Looking forward to next year’s Texas Burlesque Festival already! The contest judges were Annie Sprinkle, Tiffany Carter and Shannon Doah. ~ by angrytruffle on 04/30/2011.